German Design Award 2018 for IVE Collection • Poznań Marmite S.A.
German Design Council awarded IVE Collection in the prestigious German Design Award 2018. This is the second recognition for this collection, alongside the Top Design Award. Our products were awarded in Bath & Wellness category. 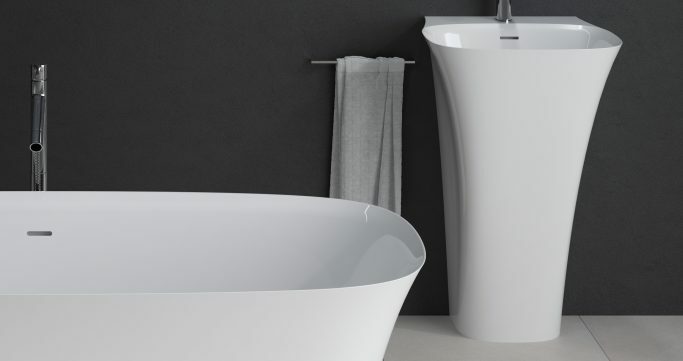 Bathtub and freestanding washbasin were awarded with the Winner title and countertop washbasin gained a special mention. German Design Award is an international competition that identifies the latest trends in design and awards pioneers and innovation. We are very proud to be awarded by such a distinguished jury and to be among the best again!